It's been just a few days Bobby Jacob confirmed his split with Amanda Stanton and the businessman has now sent his ex-girlfriend a lot of loves and supporters. The entrepreneur, 33, took to Instagram on Sunday, April 7, to speak out about the Bachelor alum, with sharing a photo of himself with his Samoyed dog, Uzzi. He captioned the picture, "I just wanted to express my gratitude for everyone who has been so kind and respectful in this whole situation." It speaks volumes and it restores faith in humanity and a society of people who just want to be toxic and negative. No matter what you go through in life it’s always a constant learning process… life experience isn’t given easily and what it does to a person is make them exponentially wiser beyond their years. Featuring a heart emoji, Bobby capped off his note, writing, "Like I said before.. You never know what the future holds." As we previously reported, Bobby confirmed that he and Amanda had parted ways on Instagram after a user asked if cheating led them to break up. He responded to fans that cheating was not the cause that led them to split. The former couple first met on Instagram and later in May 2018, they made their relationship public. 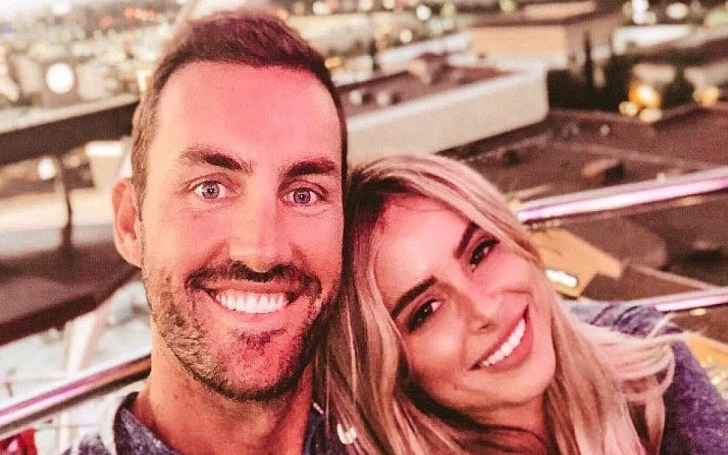 Just a day after the split, the Bachelor in Paradise star headed for a weekend trip to Las Vegas where she partied with her friends and watched an Alicia Keys performance. Amanda was previously married to ex-husband Nick Buonfiglio from 2012 to 2015. They share two children; daughters, Kinsley, 7, and Charlie, 5, together.